In my last post, I told you that I have nothing post-worthy. I may have lost my mojo (if I ever I had any); or I may have lost my muse (but she’s never really hung around me much anyway); I may have lost my nerve (I had very little to begin with); or I may just have Spring fever. Whatever the problem, the solution for me is to revert to my bad habit of stealing other bloggers’ mojo/muse/nerve. 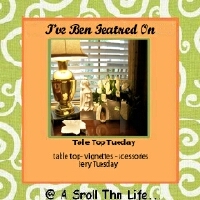 My inspiration file is filled with photos from blogs that have all of that and more. So, I am taking the risk of posting other bloggers’ brilliant and wonderful ideas again. If a photo from your blog appears here, and you don’t want it to be on my blog, please don’t call the Blogville Police Department. Just email me, and I will promptly remove it. Clicking on each inspiration photo will transport you to the blog where it was originally posted. There are just so many clever and talented bloggers. No wonder I feel too intimidated to post anything! 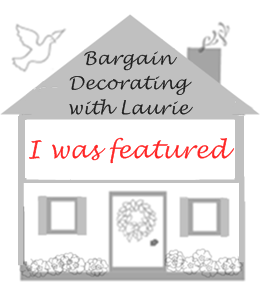 If you have “allowed” me to “borrow” a photo from your blog, thank you for all of the inspiration you provide, and please feel free to post my “Laurie Borrowed” button on your blog. Since all of these inspiration photos are of bloggers doing a fabulous job of feathering their nests in their home sweet homes, I am linking this post to Feathered Nest Friday at French Country Cottage and to Home Sweet Home at The Charm of Home. 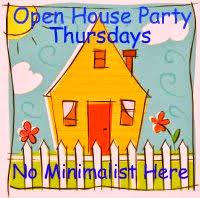 And, since I’m opening other people’s houses, I am linking to Open House Party at No Minimalist Here. You wrote in such a cute away about possibly losing your blog mojo. 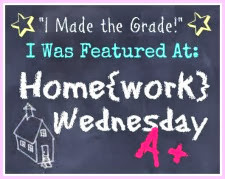 I like Wordless Wednesday where folks just post a photo or two. 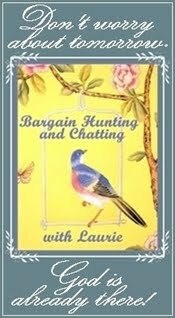 Laurie, I just happened to sit down for a break in blogland and there you were, lamenting the loss of mojo. I think your MO ran off with my JO. By now, they have probably crossed the Mississippi and are heading to parts west. Maybe it's Spring Fever. Someone needs to smack me "upside" the head and give me a jump start. Most of those blogs you featured were new to me so I'm planning to visit them on my next blog break. That first photo..the french bedroom...omgosh girl..now I am going to have COVET DREAMS about it. Sooo pretty. Thanks so much for hosting and thanks so much for putting the link up early. 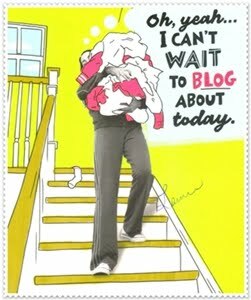 I am feeling that same way today...I am just enjoying my day and will be back to blogging maybe tomorrow...until then, I'll be making vanilla cupcakes! You picked a lot of good inspiration. What happened to our pretty Spring weather ? As my hubs would say to me...well where did you lose it? Go back and get it!! Blogging comes and goes. Sometimes I think I don't have a thing to post and then a week later I feel crunched to get it all posted!! Maybe your mojo is just taking a well deserved vacation! I feel that way all the time. Just grab your camera and GO!! Hi Laurie! Just be patient ~ your muse is on her way! Until she arrives, I am really enjoying these other posts, especially that adorable little kitchen!! Thanks for an always enjoyable party and for being such a fun hostess! What lovely pictures! I would definitely rank these as favorites, too! I think we all get in that slump from time to time. Right now I am having a hard time concentrating on anything but my mouth. LOL that sounded weird. I am scheduled for oral surgery Monday so I am all whiny due to pain. But, you did show some beautiful inspiration posts! 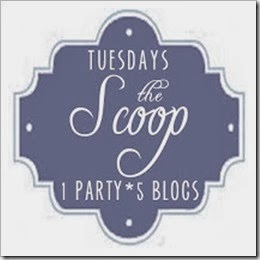 There is so much fabulous inspiration out there in bloggy land! I am flattered that my little play kitchen inspired you. I know what it is like to lose your mojo...don't fear, you will find it again! Love your blog...so glad that I found it...well, I guess you found me first, but whatever! They are all so pretty. My mojo has left the building too! I think we are still overwhelmed from last year because it flew by so fast yet here we are approaching April already! It seems that you have voiced the opinion of many Laurie! I have lost my bloggy mojo a bit too and now that my kids are on autumn vacation for 2 weeks I am going to find it really hard to get to the computer at all for a while. It's nice to know that I'm not the only one! Thanks for having me and best wishes for the weekend! Very pretty Laurie. Blogs do inspire me very much. Such fun to read them. Happy Spring Laurie, I bet you just need a few days to enjoy the spring time air..I love coming to your parties...and you sure are the hostess with the mostess..
p.s.You were the first party I joined and boy was I scared I would make a mistake.. hahahhaa..
You've featured some lovely inspiration, Laurie, and your blog itself is plenty inspiring! 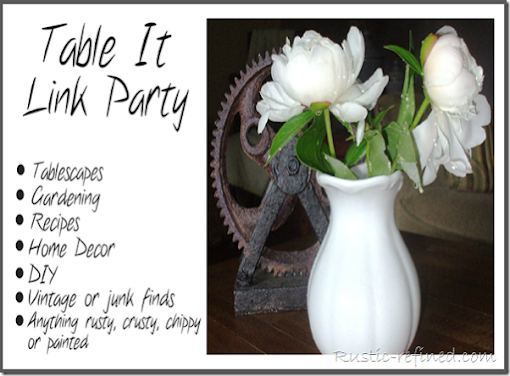 I love visiting and am grateful for your fun party. Thanks so much and I know you'll get your groove on very soon. Spring is full of inspiration and it's going to be here soon enough. Thanks so much for the Feature !!! 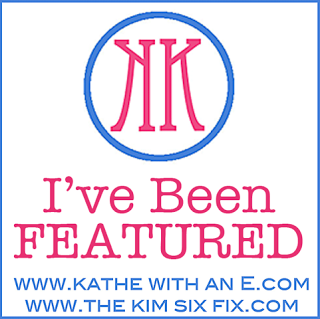 Placing your button on my Featured page and i will tell you when i mention you on my blog. Thanks so much. Great party and happy week end ! Laurie, I hope you find your mojo. 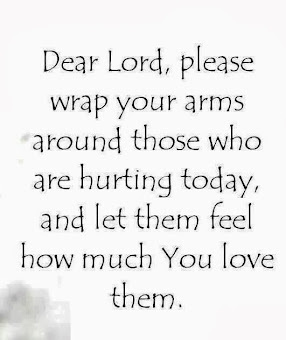 I worry that mine will be gone soon. Laurie, I'm sure you'll get your mojo or muse back. Sometimes a little break is all you need. 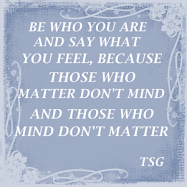 i enjoyed my visit to your blog and to the others you posted. great idea. Laurie, How could YOU be intimidated! You have a wonderful blog!!!!! Thank you for finding other blogs that we should all visit. I so appreciate your kindness! Thanks for hosting, too. I am having a hard time keeping up with the blogging lately- too many projects and things I'm working on- not getting much finished mind you except the house looking like it has had a whirlwind come through! I know what you mean! I worry about that and then something strikes me! What I love about blogging is that you can do or not do whatever you want! It was fun seeing what inspires you. I always love that. It is fun to find new bloggers too. Have a great weekend - I am sure you will be buzzing with new ideas soon. I am in ! :-D Really did not expect to have a post for today, but the weather changed my plans. Thank you for the opportunity to meet new friends! You will never run out of things to show us! Wow these are some great blogs. So many cute ideas. Thanks for the links. Really am glad that I found your blog!